In the 1930’s Dr. Rutter himself received a scholarship from the Rotary Club of Greensburg. He used that scholarship to attend Waynesburg College and eventually to study divinity so many years ago. The Kenneth P. Rutter Scholarship was established in 2006 to honor his life’s work of ministry, community service and love of humanity. 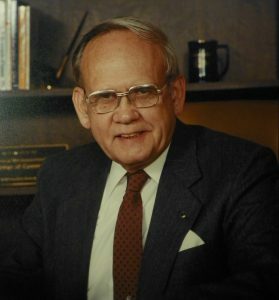 Dr. Rutter passed away in 2010 at the age of 93. He served the United Methodist Church since 1935 and retired from the First United Methodist Church in Greensburg in 1982. He served the Rotary Club of Greensburg as our Club Secretary from 1962 to 2005 – 43 years! He also served our community with tireless dedication as a volunteer and board member in the purest form of Christian ministry and humanitarian service. 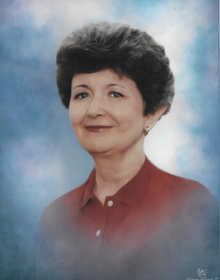 The Kenneth P. Rutter Scholarship Fund was established at The Community Foundation of Westmoreland County to award a scholarship to a traditional or non-traditional applicant residing in Westmoreland County, who has achieved a high school diploma or equivalent including a GED or Home School certificate. Preference will be given to students who seek to enter the Christian Ministry, and/or who have exhibited a strong interest in Community Service and Humanitarian Service. The Rotary Club of Greensburg Career Assistance Awards Program was established in 1956. These scholarships are available to seniors who reside in the Hempfield Area or Greensburg-Salem School Districts. The awards range from $500 to $2,500 with awards distributed in May of each year. These scholarships are granted on the basis of need, ability, performance, academic and civic activities and those qualities of character and personality befitting the leadership of a free democratic society and which exemplify Rotary’s principle of Service Above Self. When Mr. Stairs graduated from Greensburg High School in 1960, he received a scholarship from the Rotary Club of Greensburg. He used tha t scholarship to attend Penn State University majoring in mechanical engineering. Mr. Stairs had a thirty- year career with I.B.M. and was always felt indebted to the Rotary Club of Greensburg for his scholarship. Mr. Stairs died in 2017 and because of his feeling of indebtedness to the Rotary Club of Greensburg, his family established this scholarship which is presented annually to a graduating Senior from the Greensburg Salem High School. To apply for the Rotary Club of Greensburg’s Career Assistance Awards, please use the Career Assistance Award Scholarships.